Beloved by foodies, the show has worshipped at the feet of fine dining for years — but that may be changing. The death of Anthony Bourdain robbed the world of one of the most prominent voices connecting the worlds of food and politics. Through his writing and shows like “Parts Unknown,” Bourdain was particularly good at showing how attitudes towards certain dishes are really manifestations of our own cultural prejudices. The good news is this sudden void has brought out the best in some of his competitors. Enter "Chef's Table," Netflix's critical darling of a food series. Now in its fifth iteration, the newest "Chef's Table" feels quite different from its early seasons, when it basked in the crème de la crème of the food world. 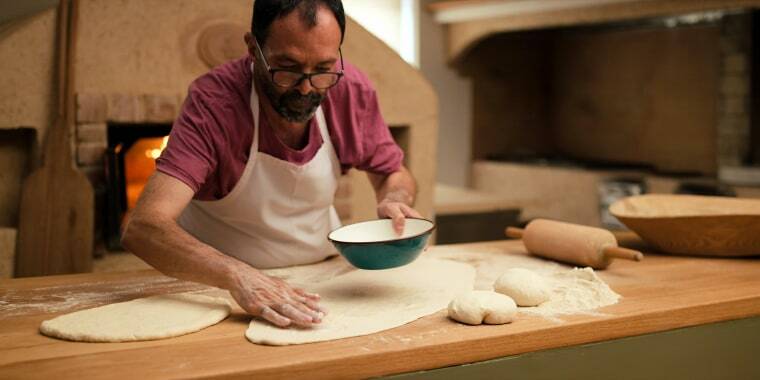 Instead, in this latest season, the show focuses on unique chefs who make food that has political and cultural resonance. They cook for their communities and for themselves, not just reviewers. Now in its fifth iteration, the newest "Chef's Table" feels quite different from its early seasons, when it basked in the crème de la crème of the food world. “Chef’s Table” has been beloved by foodies since the first season started streaming in 2015. Created by David Gelb, director of the acclaimed documentary “Jiro Dreams of Sushi,” the series worshipped at the feet of fine dining and carefully documented the biographies and world views of the (mostly) men who daringly treated food like art. (Most seasons of “Chef's Table” only run four to six episodes, and in those early “volumes,” as they are called, five out of six subjects were male.) This was a show for those who dream of the finest things in life; it introduced fans to restaurants located at the ends of the earth that catered to a privileged few. It lauded establishments which thrived on the kind of pretensions Anthony Bourdain made it his business to show as unnecessary or even corrupt, both as businesses and as standards for good food. But societal change happens fast and shows that don’t adjust look tone deaf quickly. ”Chef’s Table” was such a show — even the "Chef's Table: Pastry" installment from earlier this year, despite starting out with the idea that pastries makes people happy, evaluated dishes like one might evaluate a sculpture by Michelangelo. They also somehow only featured one female baker, despite the fact that the high-end pastry world is dominated by women. But “Chef’s Table” volume five is finally moving in a different direction. In earlier seasons, every restaurant the show focused on came with a listing of its world ranking and critics' guide grades, not to mention its Michelin stars. All that has also gone by the wayside, with three of the four restaurants far from traditional "fine dining" establishments. The show is also — finally — gender balanced. South Philly Barbacoa, for instance, is a tiny hole-in-the-wall where overflow customers eat their tacos standing on the sidewalk. Its proprietor, Cristina Martinez, came to the United States as an undocumented worker, and the episode includes the harrowing story of how she got here. In detail she describes walking across the desert for days on end, desperate to escape an abusive marriage and earn enough of a living to better her daughter’s circumstances. Another restaurant, Bo.Lan, boasts of being the only establishment in Bangkok not geared towards the Western palette, making the shop an outlier in a food service industry geared towards tourism. Chef Bo Songvisava explains how her home country is so focused on keeping up with the West, the only way to study traditional dishes is to train under white men in London. Çiya Sofrasi, in Istanbul, began as a kebab shop, which the introduction explains is basically the Turkish equivalent of a greasy spoon. The owner, Musa Dağdeviren, only changed the menu when he realized the oral tradition of passing local cuisine recipes from generation to generation was dying off in the face of modernization and embarked on a mission to record as many as he could. The theme linking the chefs is that they aren't making food for awards or fame, but because they feel called to do it. Martinez especially focuses on how her restaurant was a way to create a place to call home in a culture which hasn’t figured out how to accept her. Though she feeds all comers, those who visit her shop most are those like her: The undocumented who took their first jobs in America working in their kitchens, indispensable levers of the food industry kept invisible from the customers. Songvisava uses her position to promote the preservation of Eastern cultures while also pushing for all her fellow chefs to consider sustainability as resources shrink. And there’s more good news: The latest press release also included the episode subjects for the next volume, which will arrive sometime in 2019. They include Mashama Bailey, the first black chef the series has ever featured, male or female. She serves up a fusion of soul food and traditional African dishes in Savannah. There’s also an episode on Asma Khan, whose restaurant, the Darjeeling Express in London, is staffed entirely by female chefs and serves traditional Nawabi/Mughal cuisine. Anthony Bourdain would be proud to eat at any of these restaurants. It’s about time shows like “Chef’s Table” acknowledged their value too.